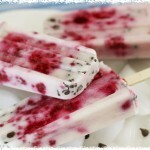 Raspberry Yogurt Popsicle -What the "Forks" for Dinner? 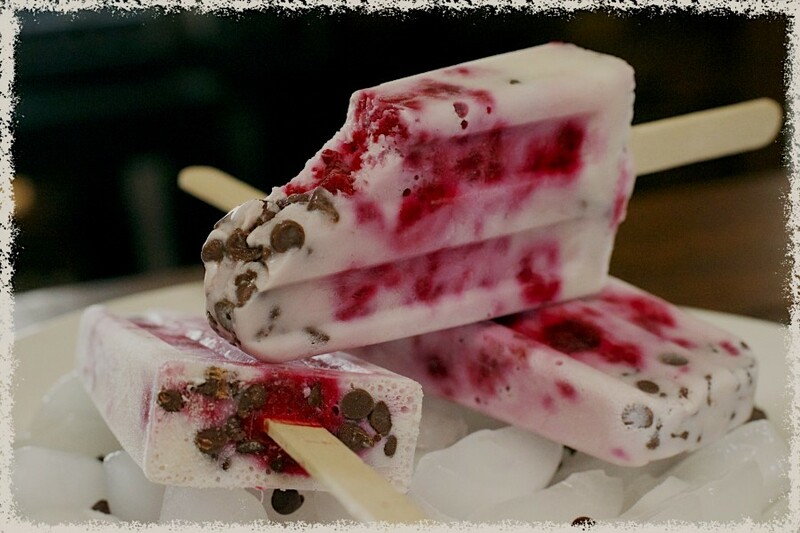 As fall is just about here, I would be remiss to not do one final homage to summer…….Raspberry Yogurt Popsicle. Raspberries are something both Tim and I love. 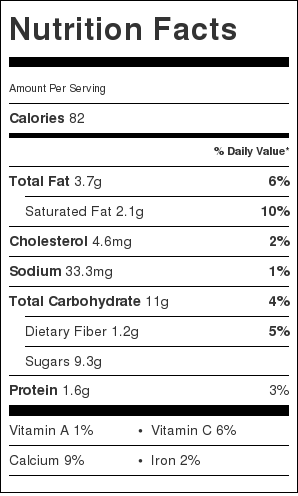 We have them in smoothies……..look for our recipes coming soon……..almost everyday. These popsicles are like a smoothie on a stick. This last week was a hot one. But of course, we are back in school and the first week of school is notoriously hot! We were lucky in that over the summer our school district put in a new heating and cooling system, so we are all comfy……..until we step outside……..ugh! So, I wanted to make something cool but still semi healthy……..haven’t quite made the transition to full on healthy………yet! But, these are only 82 calories each!!!!! Popsicles have been all the rage this year, lots of flavors, some I’m not quite so sure about…….hmmmm. But anyway, these are just a normal mix of flavors that enhance each other. 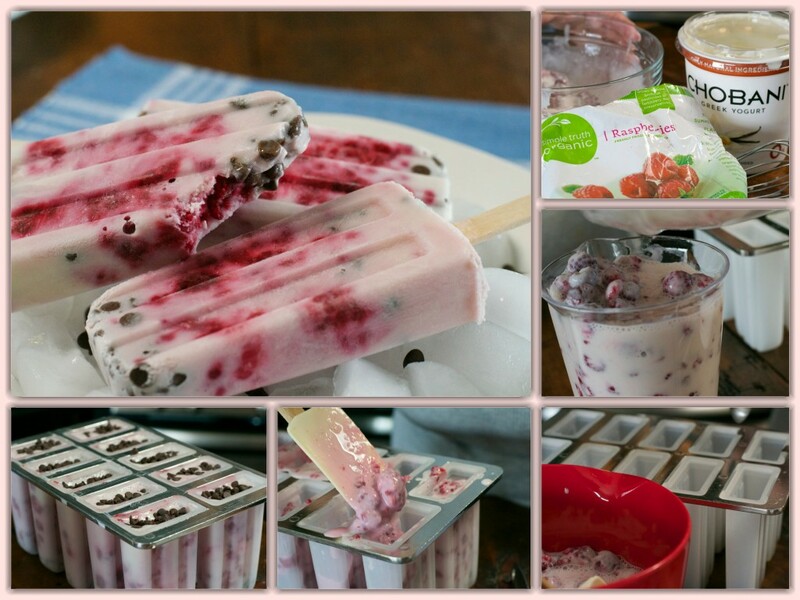 The creaminess of the yogurt, the sweet yummy raspberry, and just a hint of chocolate! 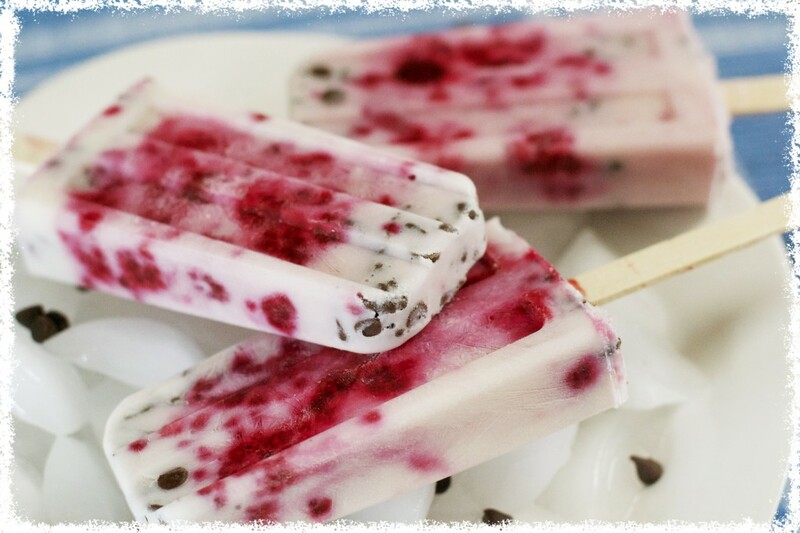 So, if you are craving a semi healthy, cool sweet treat………Raspberry Yogurt Popsicles will hit the spot. You can also try our Chocolate Espresso Bean Popsicle for cool coffee treat! In a large bowl, blend together the greek yogurt and almond milk. Fold in the raspberries. Using popsicle molds place 1 teaspoon of the mini chocolate chips into each mold. Pour yogurt mixture into molds. Top with remaining chocolate chips. Place in freezer for about 1 hour. Place sticks into the molds and continue to freeze for another 6-8 hours. To remove the popsicles dip in hot water for a few seconds. Pull on the sticks until the popsicle releases. Do not wiggle the stick or the stick will pop out with out the popsicle. To enjoy later, wrap each pop in plastic wrap and place in a freezer bag. That look’s delicous; I can’t wait to try it!